No matter how many donors or prospects you have in your database, figuring out how to cultivate all of them and make them all feel appreciated is a daunting task. It is normal to feel overwhelmed by donor retention goals, particularly for a small nonprofit trying to stay on top of major donors, event attendees, new donor welcome letters, the list of prospects your board chair just handed you, and on and on it goes. The best way to start is by focusing on keeping your most loyal donors – loyal in terms of how long they have been supporting your organization, not just the size of their gifts. Your objective: Let them know that you know who they are, you recognize their ongoing support, and tell them all the good works they have accomplished with their gifts. Step 1: Estimate a reasonable number of donors you can manage. 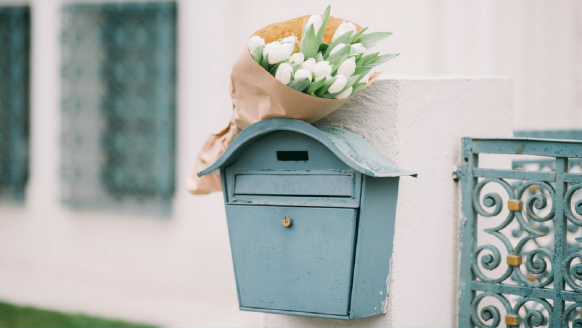 How many letters or cards can you afford to mail and stay within your budget? Can you enlist help from board, staff or volunteers to handwrite notes or make telephone calls? How many first class stamps will your budget support? With these questions in mind, come up with a target number of loyal donors you can reasonably get to know and make extra efforts to keep. Step 2: Who are these loyal donors? Start by pulling from your database a list of donors who have given consistently 3 years in a row. How many are there? Does that number correspond with the number you estimated? You may need to adjust up or down until you get a list with your target numbers. For example, larger or older organizations might have many donors who have given 5 years in a row, or might trying pulling donors who gave 3 out of the last 5 years. Step 3: Determine how to label these people as “loyal donors” in your database. You’ll want to create a system that lets you keep track of this group and work to keep these important people giving in the coming years. If you don’t know how to do this within your database, or if you don’t have a database, you can keep track through a spreadsheet. Step 4: Create your Loyal Donor Cultivation Plan. By “create” I mean: Write. It. Down. Commit to making this happen. It’s important. mail (not in response to a specific gift) a simple, mission related “thank you” card with a hand-written message inside acknowledging why they are special. Hand-address the envelope. mid-year, mail a special one page “report” letter telling them how they have specifically impacted your kids, animals, families, social policy, etc…. through their cumulative gifts. That’s it! In fact, if you only do one of these, it will go a long way towards keeping your donors active. Because you tagged this group in your database, you’ll be able to look back in a year or so and determine the retention rate of this specific group. You’ll also be able to identify people in this group who didn’t renew their gift, and make an extra effort to get them back! « What is the best postage option for your fundraising appeal?